Friday, May 30, 7-9 p.m. 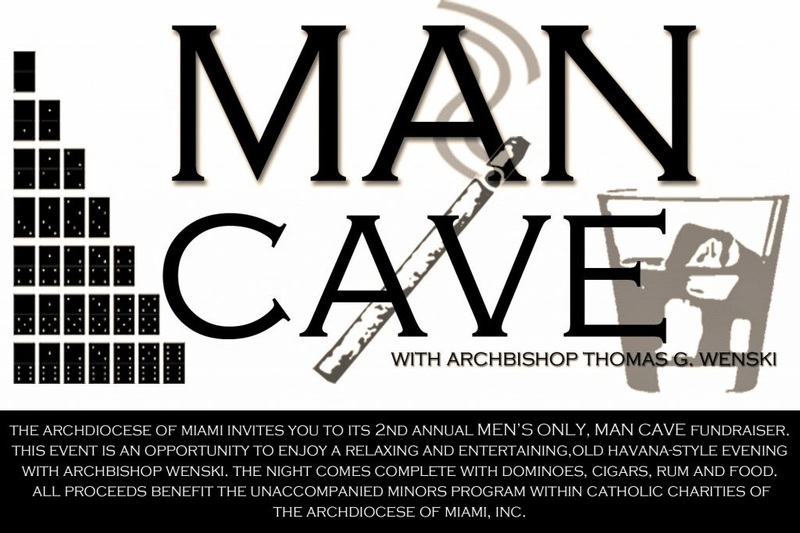 The Archdiocese of Miami invites you to its second annual men's only Man Cave fundraiser. This event is an opportunity to enjoy a relaxing and entertaining old Havana-style evening with Archbishop Wenski. The night comes complete with dominoes, cigars, rum and food. All proceeds benefit the Unaccompanied Minors Program within Catholic Charities of the Archdiocese of Miami.